Benchmade founder Les de Asis founded Benchmade in 1979. His mission was simple: build a better balisong than the type he played with as a kid. Les didn’t find resounding success until the early 80’s when he made the Model 68 (the knife that secured Benchmade as a company). 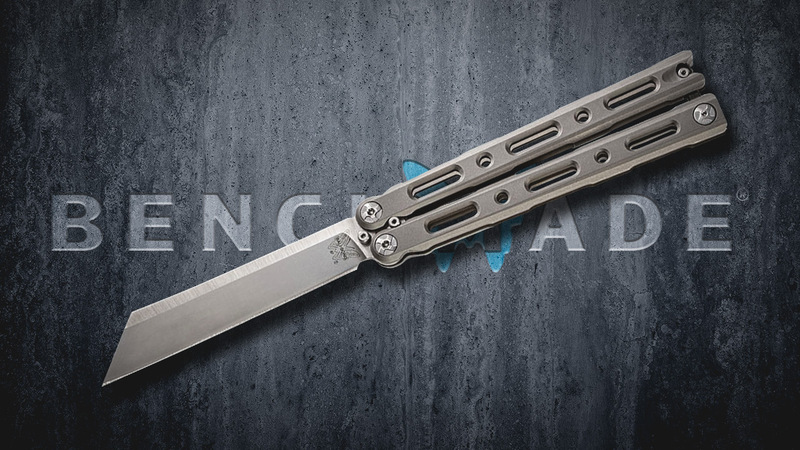 Now more than 30 years later, Benchmade continues to find success with the new Benchmade Gold Class 87 TI Balisong Butterfly. Let’s be clear. This is a Benchmade Gold Class knife, and it’s unlike anything else we’ve ever seen from the company. Instead of the standard cast titanium handles, Benchmade designed the Benchmade Gold Class 87 TI with milled billet titanium. The 87 features sandblasted handles which assist with grip for more elaborate flipping. The lightweight handle material puts the 87 at just over 5oz, which gives a firm boost to momentum without being too much for novice flippers to handle. The 87 really has a setup that the experienced and the inexperienced can equally enjoy. 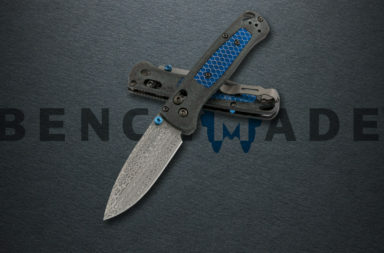 Benchmade’s quality is readily apparent when you take a look at the custom hardware for the Benchmade Gold Class 87 TI. The 87 utilizes the new thrust bearing washers. In the past, Benchmade used standard washers for their pivot system. Washers lead to sluggish response and tolerance issues between the blade and the handle. The new thrust bearing system provides perfect fit and tolerance, and allows the blade to glide effortlessly as it pivots on the handle. 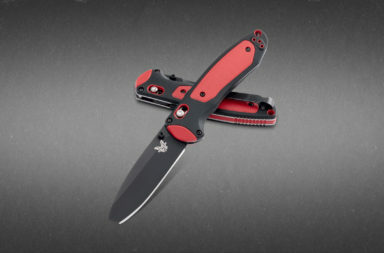 Benchmade goes on to add other quality aesthetic pieces like custom handle screws and even a magnetic latch system at the base of the handle. 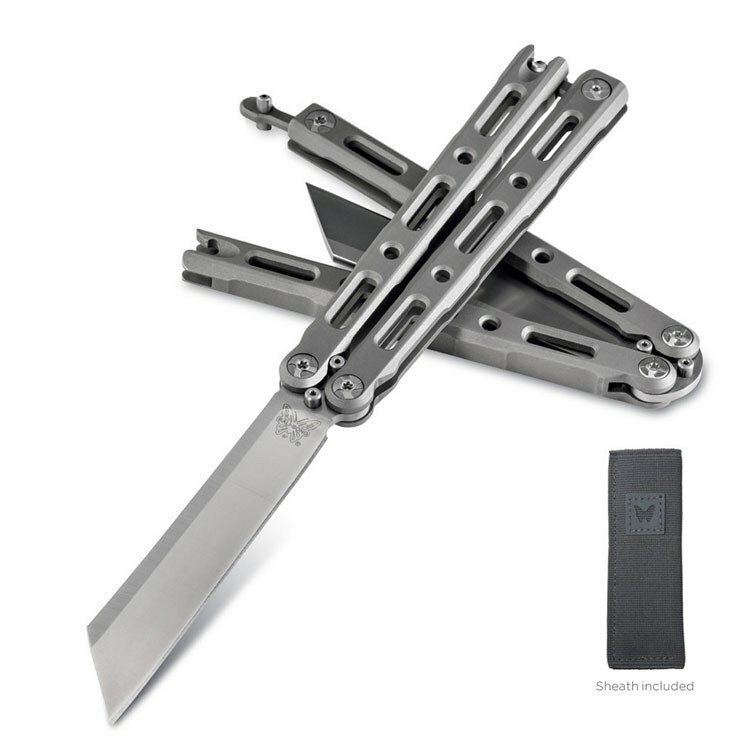 The Benchmade 87 is a definitive step into the future of balisong knives. The blade of the Benchmade Gold Class 87 TI is also unique when compared to most anything on the market. 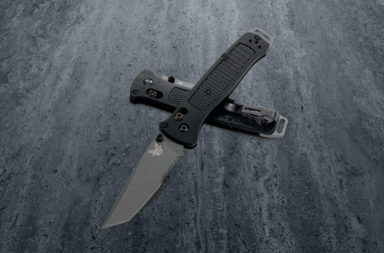 Benchmade chose to go with a Wharnchiffe design that easily stands out in a crowd. The CPM-S30V stainless steel blade holds an edge incredibly well, even when the knife is accidentally dropped. It’s a high-quality steel that is revered by many enthusiasts around the world and very fitting on a knife of the 87’s quality. If you’re the type to actually use your balisong for working purposes, the Benchmade Gold Class 87 TI actually has a good foundation as a task knife. If you can appreciate a masterpiece knife by one of the top companies in the world, the Benchmade Gold Class 87 TI is for you. This knife is everything that Benchmade’s founder has worked over 30 years for, and is a true testament to their legacy. 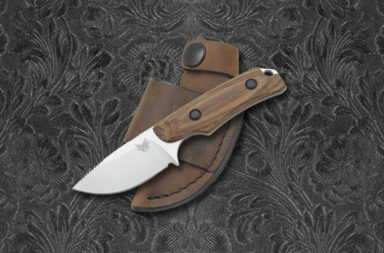 The Benchmade 87 has an MSRP of $600, but Smoky Mountain Knife Works (smkw.com) has it available for $510. These knives sell out quickly, so check them out by simply clicking the link below.